You are welcome to view the films from Faith & Co. on your personal computing devices, as well as to share them through social media. This media is licensed under a Creative Commons (CC BY-NC-ND 4.0) license, which means that you may utilize these in educational spaces such as face-to-face courses or modules in online courses, as long as you properly attribute the creators (Faith & Co., Seattle Pacific University), the purposes of your use has no commercial impact, and you make no edits or changes to the material. Faith & Co. is made possible by the generous support of people like you. The development, production, maintenance of the film assets, website, and open online course will continue, and we welcome donations to support these efforts. If you would like to show this film to an audience as part of a non-commercial program or a learning environment outside a single classroom, we would ask you to give to Faith & Co according to the suggested guidelines below. The suggested payment tiers below vary according to the potential use of the media, but you are welcome to pay whatever amount you see fit. We can also offer you an executive edited copy with full resolution of the film series to show to your group or congregation. Please contact Gene Kim, the executive director for SPU’s Center for Integrity in Business, at genekim@spu.edu for a downloadable full resolution copy of the films. If you would like to use this material in a space involving a commercial venture (conference proceedings, staff professional development, etc. 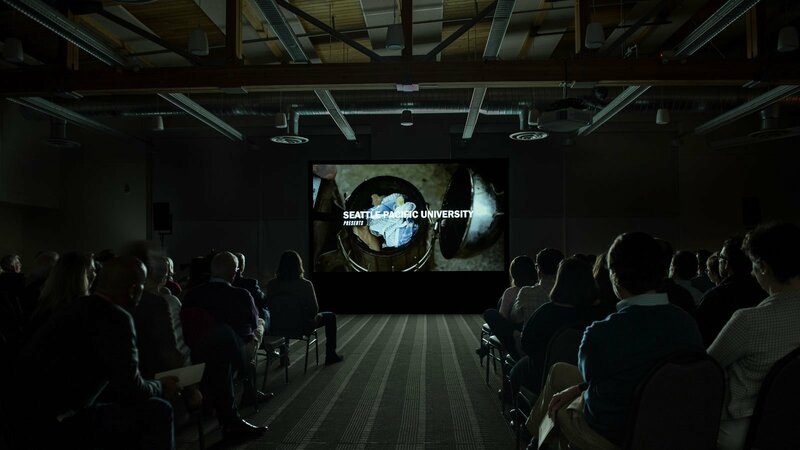 ), or if you would like to hold a symposium involving the films/subjects/instructors/filmmakers, please contact Gene Kim, executive director for the Center for Integrity in Business at SPU, at genekim@spu.edu or 206-281-2502. If your company or organization would to arrange a customized screening of all or part of the Faith & Co. film series and invite cast and/or crew members for panel discussions or workshops, we would be happy to help with making necessary arrangements. If you would like to discuss a customized screening for your organization or audience, please contact Gene Kim at genekim@spu.edu.